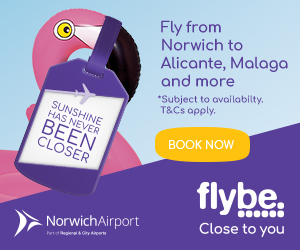 Norwich Airport offers direct flights to Finland for this fantastic Christmas experience. The flight is on Tuesday the 19 of December. You will fly direct to Ivalo Airport which lays within the Arctic circle where you will be greeted by one of Santa’s little helpers an elf and some of the local people, the Samis. You will then be taken on a quick coach drive through the snow-covered scenery of Finland and you will soon arrive at your destination of Saariselka where you will be shown to your accommodation. Once settled you will then get fitted in your complementary winter attire to make sure the time you spend in the snow is not to bracing. After the fitting, you will be able to explore Saariselka and you may want to borrow the free toboggans from the hotels and cabins and have fun, or you may want to relax in a Finnish Sauna. On the second day, you will be given the opportunity to take part in some action-packed adventures. On offer is a reindeer sled ride where for about 10 minutes you are whisked across the snowy landscape by the powerful reindeer. Then you may want to try the husky pulled sled where the sled is pulled by 5 or 6 huskies and if you fancy the chance you can take charge of the sled. Visit the reindeer centre where you can try the reindeer based activities such as reindeer lasso or crazy reindeer golf. You can also feed the reindeer themselves. Also visit the Igloo wonderland where you view all the ice sculptures and ice creations before enjoying a drink in the ice bar. Then after traveling this far it’s time to meet Santa Claus himself in his hidden log cabin where his elves will be on hand to welcome the travellers and the magic of Christmas will be revealed. On the third day, you will once again have the opportunity to experience the husky or reindeer pulled sleds or maybe a bit of last minute souvenir shopping in the local shops. Then you are then taken back to the airport to recount the memories you have made. Lapland the fabled home of Santa Claus awaits and can be your early Christmas present to yourself, your family or friends by clicking the link provided.